Guillermo del Toro is one of the most successful directors of our time with his out of the box films and fantastic perspectives on horror. Such movies as Pan’s Labyrinth, The Devil’s Backbone, and Pacific Rim have not only put del Toro on the map, but are breathtaking and vastly different than what has been offered in cinema in the last decade or so. However, what I want to focus on are two horror films that del Toro produced: Mama and Don’t Be Afraid of the Dark. I thoroughly enjoyed these two movies, but in the middle of both I began to raise an eyebrow. These films were oddly familiar to me, like I had heard these stories before. Granted, Don’t be Afraid of the Dark is a remake but it was more than that. I thoroughly picked my brain for days, contemplating if these screenplays were similar to T.V. shows I had seen or an obscure black and white film from the 40s…but that wasn’t it. The answer was much closer to home and quite frankly, more sinister. Both these films had one thing in common: They are both strikingly similar to Mexican folktales I was told as a child. It came as no surprise to me to learn that del Toro is Mexican (I am as well) considering the creepily accurate depiction of La Llorna (Mama) and the Cucuy (Mexican boogie man in Don’t be afraid of the Dark). The story of La Llorna (Yarona) is a tragic one. Upon finding out her husband is leaving her for a much younger woman she drowns the children from the marriage in the river for revenge. After her blind rage subsides she realizes the atrocious act she has committed and then subsequently takes her own life in the same manner she murdered her children. However, after she passes over, she is informed that she cannot enter heaven until she finds her children, so she is cursed to wander the Earth until she recovers them. 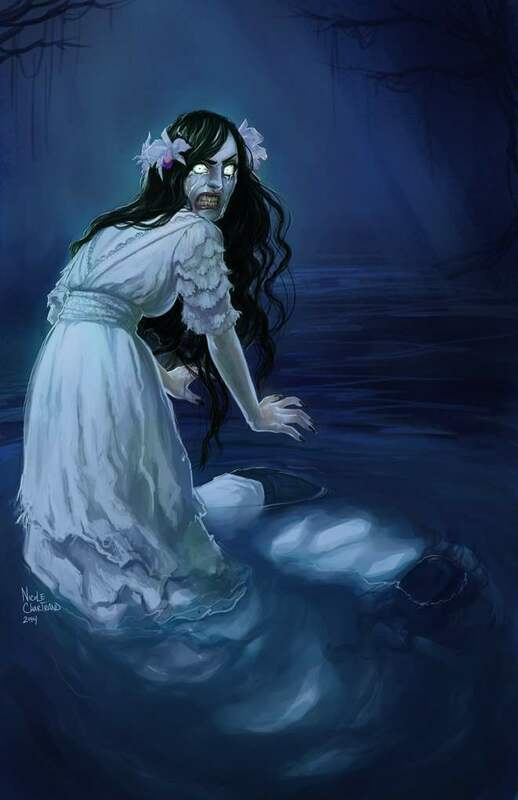 She then becomes La Llorna, the weeping woman, and the legend warns children that if they aren’t inside after dark and are by a body of water that they will be snatched up by her as an offering for her passage into heaven. So, I am just going to let the fact I was told this as a child sink in. The idea was that children would make sure they would be inside for dinner and that they wouldn’t wander the streets for fear of La Llorna. My brother and I were told this on and off, but when we were ten years old we thought we were badasses. We weren’t afraid of some murderous old lady that couldn’t find her kids, what did our parents know? That was, until we moved to a new neighborhood and on the first day we played outside and wandered around, but as the sun was setting we came across a large lake…no more than two blocks from our front porch. We ran home so fast I don’t even remember closing the door and my mother still laughs about how we refused to get the toys we left outside because La Llorna lived in the neighborhood. If you have not seen Mama, it is basically the American version of La Llorna, but with some tweaks. I do recommend the movie and while some of my friends find it disturbing, I was more disturbed that this was based on one of the most horrifying things from my childhood. 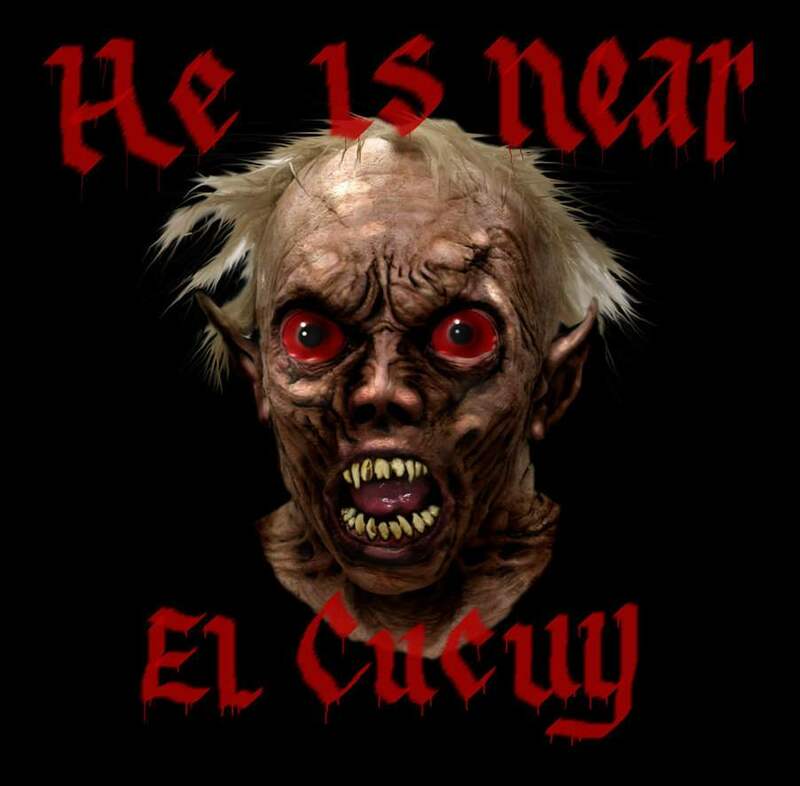 The Cucuy (Coo-Cooee) is the Mexican Boogie man and I will bet you all have your own version of this story no matter where you come from. Well this version is a hairy little beast with sharp teeth that hides under beds or in closets and will eat naughty children who don’t go to sleep when they are told. This is standard for this type of folklore, but what stands out is that Latin parents sing songs or recite rhymes right before bed (why Mom and Dad why??) that discuss the horrendous appearance of the Cucuy and his apparently insatiable bloodlust. Don’t Be Afraid of the Dark is a movie that captures the Cucuy in appearance and myth, but of course with a del Toro inspired twist. Again, I was surprised that this movie paralleled the tales I had been told as a child and I was delighted that it was portrayed in all of its glory. This movie can be gruesome at times, which makes sense, since the Cucuy is supposed to literally be a murderer of children that lavishes in eating their flesh. Guillermo Del Toro is a fantastic director and I have thoroughly enjoyed his movies not only because they are amazing, but also that his movies share some fond memories from my childhood. It is exciting when Latin culture is shown through horror and can be allocated with anyone and everyone. Previous ArticleGift Guide: Horror Inspired PS4 ControllersNext ArticleWhy You Should Watch Madhouse if You Haven’t Already!